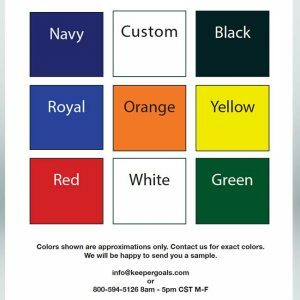 Color samples for Deluxe Team Shelters and Folding Aluminum Training Goals – Navy, Black, Royal, Orange, Yellow, Red, White, Green and custom colors available. Colors shown are approximations only. Please contact us for a sample of the actual color. 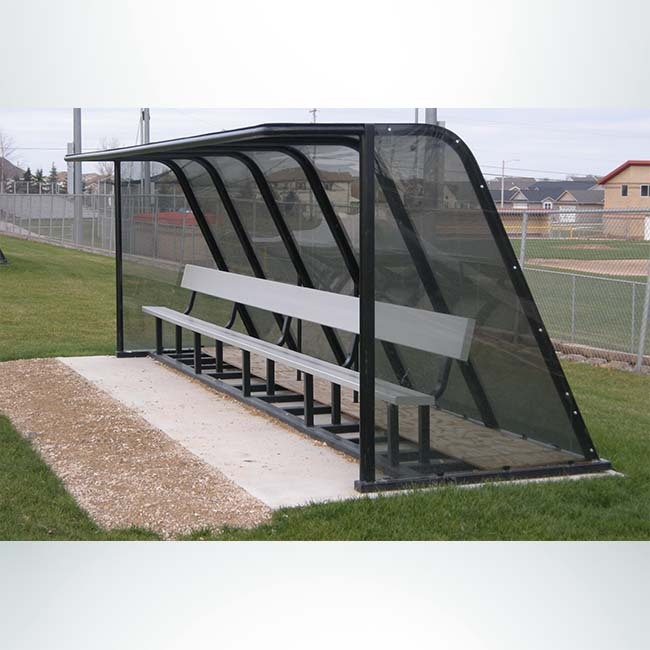 Model #PPS20 Deluxe Standard Style Heavy Duty Team Shelter with aluminum bench and wheels. Model #PPS16-Box-Black-WH Deluxe box-style shelter with wheels and signage board. Signage board available as an option on all deluxe team shelters. Model #PPS16 Deluxe standard style team shelter packed to ship and pre-assembled. 16′ shelter pictured, applies to all sizes of deluxe shelters. 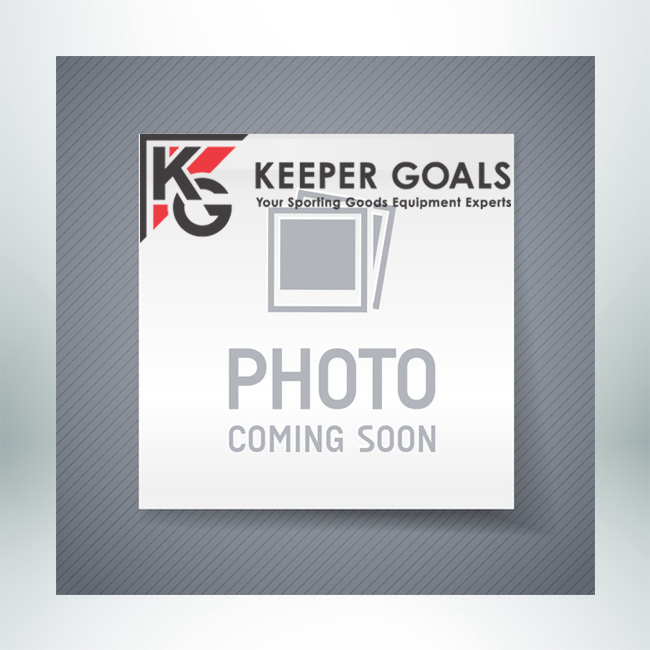 Keeper Goals Deluxe 20′ Traditional Team Shelters will provide years of comfort in inclement weather. 20′ shelter seats approximately 13 people. A heavy 4″ x 2″, 11 gauge steel base and 2″ schedule 40 steel pipe, with channels, makes our frame stronger and more stable than those of our competitors. Frames are powder coated for longer wear. Frame arches are made of 2″ steel schedule 40 pipe with channels for lexan. Shaded lexan offers some sun protection. 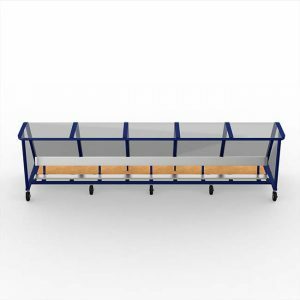 Seat frames are pre-formed 2 1/4″ steel channels. Added bonus: These shelters ship pre-assembled! Click here for shelter measurements. Contact us to order this item. There are many factors to consider when choosing shelters and we want to make sure the shelters you order meet your needs. Please contact us to discuss how your shelters will be used and where they will be located so we can help you choose what type of wheels and anchors your shelters will need so they best meet your needs. Feel free to call us at 800-594-5126 (M-F 8am – 5pm CST) or contact us by email. Shelter frames are powder-coated. 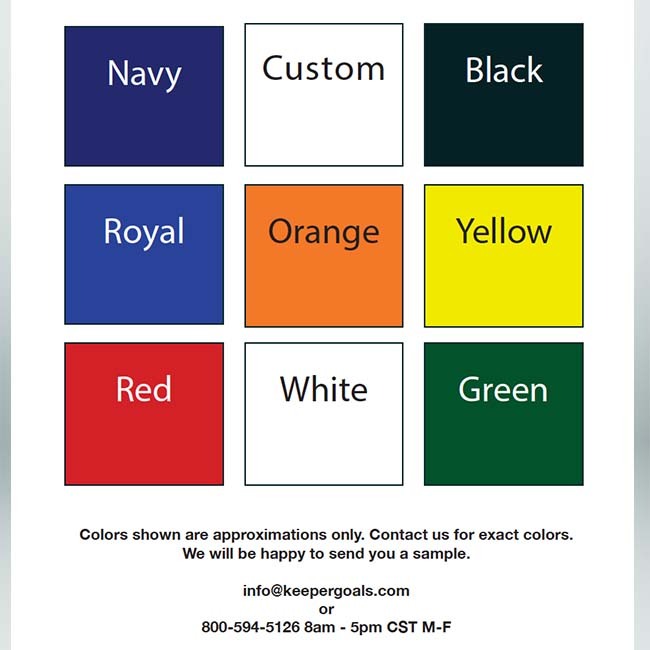 Choose one of eight standard shelter colors: red, orange, white, black, yellow, forest green, royal blue, and navy blue. Colors shown on color swatch image are approximations only. For exact shade please contact us and we’ll be happy to send you a color sample. Don’t see the color that you want? We can custom paint your shelters to match your school colors. 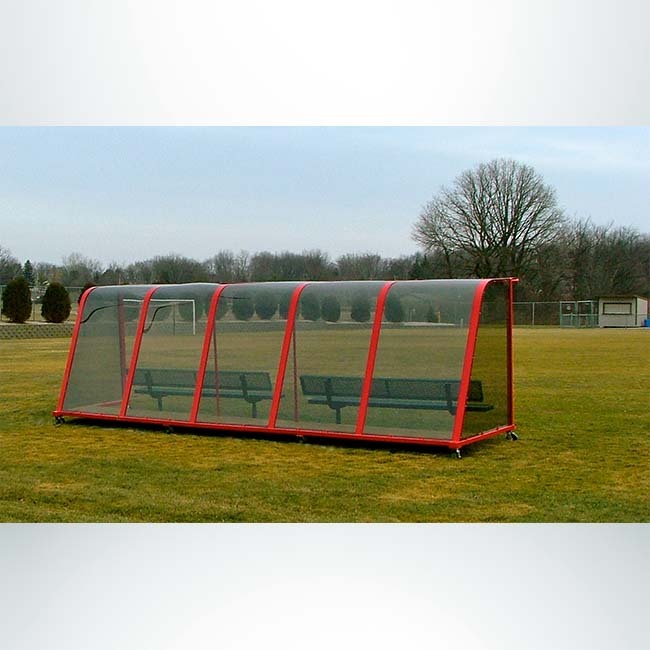 Your team shelters can be portable or stationary. 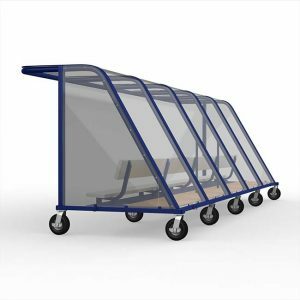 If you need portable team shelters we offer two types of wheels; one type of wheel is for use on grass or turf and one type of wheel is for use on hard surfaces like asphalt or concrete. Though all shelters are difficult to move on wet turf, our portable shelters come with either 6″ swivel steel and polyurethane wheels, with brakes, or larger semi-pneumatic caster wheels to make shelters easier to move on hard surfaces. Even our stationary team shelters are equipped with wheels, which are removed when shelters are placed in their designated spots, but can be put back on to move shelters for the off-season. Click here to see a video of portable shelters being moved. Heavy-duty team shelters can be made with wood or aluminum benches built into the frame. They can also accommodate free-standing benches that can be moved out from the shelters when cover is not needed. If you already have free-standing benches check with us to see if they will fit inside your new shelters. Keeper Goals shelters need to be secured with anchors, rebar stakes, chain stakes or duckbills; or bolted to a concrete base. Tell us how you will use your shelter and we can help you decide on the best option for securing your shelters. Shelters come with wood floorboards. Metal floorboards are available for an additional cost. Contact us for pricing and information. Add your team or school name and logo for a professional look. Additional cost applies. Contact us for pricing and information. 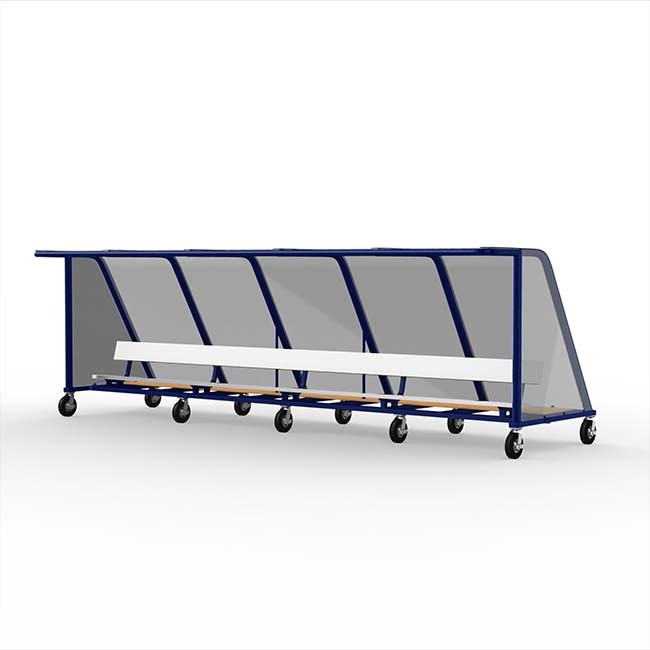 You can order an optional scorer’s table for use with your team shelter. Additional cost applies. Contact us for pricing and information. You can choose to have the shelters built to allow advertising or logo’s on the back of the shelter. Contact us for pricing and information on advertising space. Additional cost applies. Floorboards provide storage area. Standard floorboards are wood. Metal floorboards are available for an additional cost. Contact us for pricing and information. Custom size and color shelters can be made on request. Contact us to discuss your shelter needs. 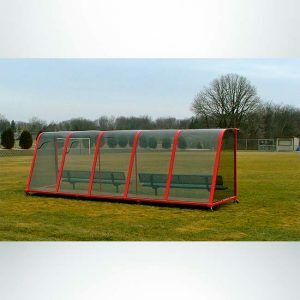 Length: 21’ 1 3/8” (Outside Dimension)Storage area built into the frame of all Deluxe Standard Shelters. 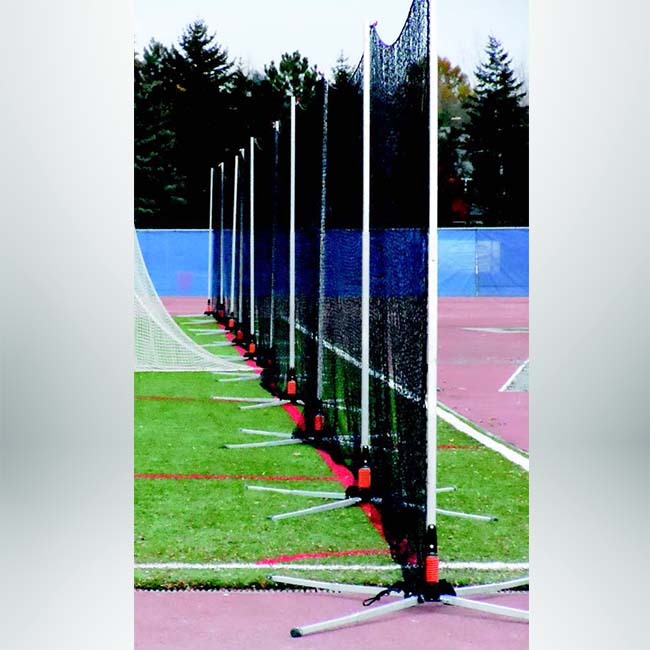 Because of wind, all shelters must be secured to the ground by anchors, rebar stakes, chain stakes or duckbills; or they need to be bolted to a concrete base. Tell us how you will use your shelter and we can help you with your options for securing your shelters. How many people do you want to seat for the home team? How many for visitors? How often will you need to move the shelters, and where will you move them to? 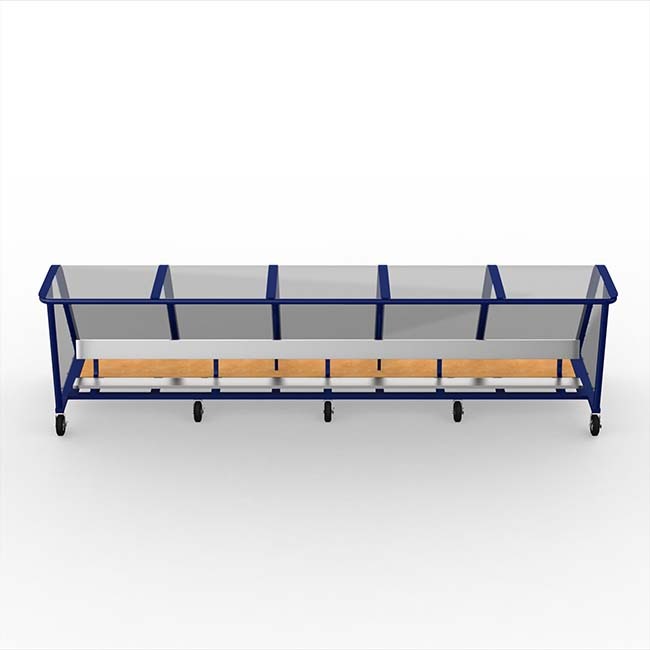 Do you have existing benches you plan on using, if so what size are they? How will shelters be secured to the ground or stored when not in use? How much room do you have for shelters? Any sight lines we need to be aware of? Do you want advertising or logo options on the back of the shelter? We’ll be happy to help you decide which shelters are best for you. Call us at 800-594-5126 (M-F 8am – 5pm CST) or contact us by email. *Shipping costs not included in prices listed. This is the global text area for additional product information. 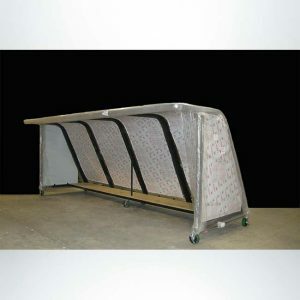 Categories: Premium Sideline Shelters, Shelters, Shelters (Site Furnishings), Sideline Shelters, Site Furnishings. 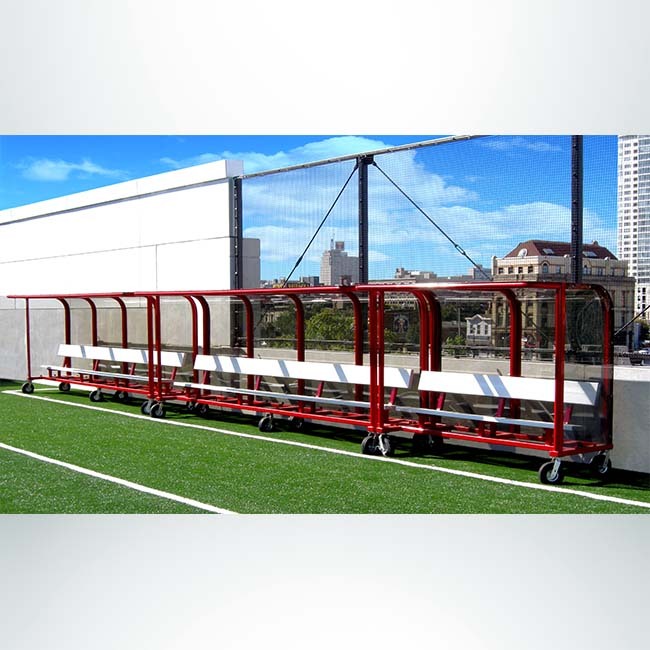 Tags: Athletic Facility Equipment, Dugouts, Field Hockey, Football, Lacrosse, Soccer, Team Shelters.